"I am so thankful for the time and energy you invest in your curriculum at A Plus Real Estate School! It proved to be a great challenge worth my investment! In our seven weeks of class, you set me up for success, and I passed the state exam the first time! I had the pleasure of attending my first coaching session to kick off my new career today; what an exciting journey this has already been! I'll be looking forward to any CE credit courses you offer! Many thanks to you for all your hard work and care!" "I tried an online real estate school and found the material to be very difficult to follow. I wanted to save money and it costs me more in the end. I found the material at A Plus Real Estate School to be much more informative and much easier to understand and follow. I learned so much and was so excited when I finished the course to get started in my new career. Thank you Debi, you were an incredible instructor. I passed the exams the first time!" "I started with an online real estate school and quit with no desire to go back. I couldn't understand the material and had no one to help me. A friend recommended A Plus Real Estate School and I called them. I went through the classes at A Plus and found the material to be easy to read and follow. I was completely prepared for the state exams when I finished the course. I passed the first time." "I enjoyed going through A Plus Real Estate School and felt very prepared going into the state exams. I passed the first time." "The instructors at A Plus are very knowledgeable and the material is very easy to follow. The pre tests were very helpful and I felt very prepared going into take the state exams. I passed the first time." "A Plus Real Estate School was wonderful to work with. They helped me with questions and made sure I understood the material before I signed up for the state exams. I was ready and well prepared for the state exams once I finished the course. I passed the first time." "I would recommend A Plus Real Estate School to anyone who wants to obtain a real estate license. I learned so much and felt so prepared not only for the state exams, but to start my career. I passed the state exams the first time." "I started my real estate career with A Plus Real Estate School and found the material to prepare me for the state exams and gave me a kick start for my career in the business. I have been in the business since 1996 and still do all of my continuing education with A Plus. The information has been invaluable throughout my career. I would never go anywhere else for my education." "I utilized A+ Real Estate School to obtain my Real Estate license 15 years ago. I have since benefited from their continuing education program and consider their involvement to be a critical component in the success I have enjoyed." "I began my real estate career with A+ Real Estate School by taking my prelicensing course and have continued to take my continuing education courses yearly with A+ Real Estate School. A+ has always been there to make my real estate career a success." Welcome to A+ Real Estate School. We were founded in 1994 in Denver, Colorado by Tony Portararo, Ph.D. We are licensed and regulated by the Colorado Department of Higher Education, Division of Private Occupational Schools. We specialize in providing Colorado real estate continuing education courses to licensed real estate professionals, including real estate sales agents, broker associates, employing brokers and managing brokers. Over the years many experienced REALTORS® have learned negotiation and other advanced real estate skills from Tony and Debi Portararo at A+ Real Estate School. Students have looked to A+ Real Estate School to improve their professional practice while meeting their Colorado Real Estate Commission requirements for continuing professional education. Tony wrote many courses, including those offered by the A+ Real Estate School, to train and motivate agents to achieve their best results. As the market changes we are adding new classes to teach the latest changes in real estate. We offer the state's premier selection of Colorado real estate continuing education online and distance learning courses on advanced real estate topics. Tony and Debi Portararo developed these courses based on the live courses they taught in the classroom for years. View our online and distance learning course catalog. Our distance learning courses are designed for convenient, efficient use on your own schedule, at your own location. Each course consists of a complete package of learning and reference materials. For course descriptions and order information, please review our Course Catalog . Whether you're in the real estate business or any other business, we are your sole source for learning how to negotiate effectively using the principles and strategies presented in Negotiation: The Complete Story. This is the popular book and distance learning course developed by Tony Portararo based on his lifetime of expertise in human behavior and real estate sales. 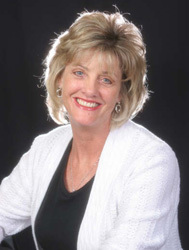 Debi Portararo is a seasoned, successful Colorado REALTOR® and educator. Since 1994, she has partnered with her husband Tony Portararo in making the A+ Real Estate School a center of excellence in Colorado real estate education. A licensed REALTOR® since 1994, Debi first won distinction as a top sales producer and top referral sales producer. Becoming a managing broker in 1996, she has administered a successful real estate business and has trained many local real estate sales agents. During 15 years with A+ Real Estate School, Debi taught the fundamentals of real estate to students seeking to enter the industry. She also taught pre-licensing classes to prepare students to take the State of Colorado real estate license exam. Along the way, she has helped many students establish their careers in the Colorado real estate industry. Today, as owner of the A+ Real Estate School, Debi administers the company's distance learning curriculum and continuing education services. 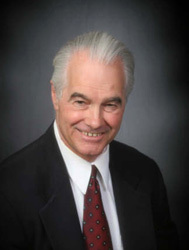 Both founder and director of the A+ Real Estate School, Tony Portararo, Ph.D. was an expert in human behavior, an experienced educator and a successful businessman in Colorado real estate. He earned his doctorate from Penn State University where he studied urban form and the movement patterns of people, information, goods and services within cities. As a university professor, he taught at Penn State University and at the University of Maryland, where he was also appointed department chair. As a researcher, he published numerous articles in professional journals. His doctoral thesis analyzed the movements of people within metropolitan Denver, Colorado. Upon returning to Denver in 1982, Tony entered the real estate industry. He earned his GRI and CRS REALTOR® designations and became broker-owner of the highly-successful Metro Broker Real Estate Merchants, Inc. He served as president of the North Suburban Board of REALTORS® and was a director of the Colorado Association of REALTORS®. He was named by the National Association of Real Estate Executives as a charter member of The National Million Dollar Roundtable, recognizing the nation's top real estate professionals. He also received awards for being within the top 1% in sales volume of all real estate agents in the United States. Tony wrote many courses, including those offered by the A+ Real Estate School, to train and motivate agents to achieve their best results. As the market changes we are adding new courses to teach the latest changes in Real Estate. 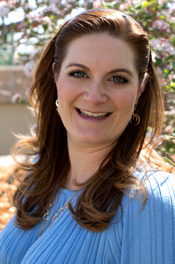 Licensed in Colorado and California, with 11+ years of exceptional service to her Clients, Lisa is highly skilled in Negotiation, Buyer & Seller Representation, Public Speaking and Business Development. Lisa’s expertise encompasses Commercial and Residential properties, with an emphasis on Investment Properties, Alternative IRA Real Estate Ownership, Multifamily properties, Mixed-Use properties, Mobile Home Park Investments and Residential properties. Lisa has developed sales training materials for Real Estate Professionals and has written and taught numerous Real Estate classes, presenting to Real Estate Professionals, Finance Professionals, First-Time Buyers, Investors and Corporations. Her twin passions are Real Estate and helping others. As an Instructor, she loves empowering others to achieve success in the industry. As a Realtor, she loves empowering her Clients to achieve their goals. She looks forward to empowering you too! 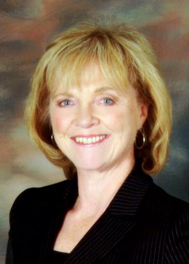 Sheila has been a certified occupational instructor in real estate and mortgages since 1994. She obtained her Employing Brokers license in 1997 and has been in the real estate industry since 1988. Sheila received her degree in Paralegal in 1998. 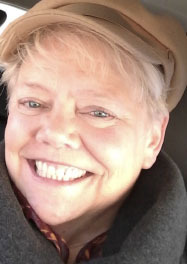 She belongs to several organizations, CHRB (Colorado Housing Resource Board) board member, CHRB education committee chairman and has taught Fair Housing classes throughout the state, Denver Odyssey 2001 Steering Committee, and Responsible Lending Taskforce. Daryl served with the United States Air Force for over 20 years and retired in the local area in 2007. Daryl has been a Mortgage Lender since he retired from the Air Force and has been originating home loans for over 12 years. He is currently a Production Manager with Synergy One Lending and has a passion for guiding new home buyers as well as experienced home owners through the entire home loan purchase and refinancing process. 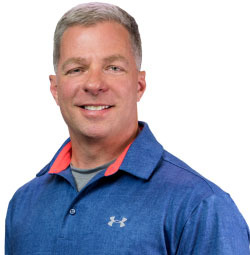 Daryl is a VA Mortgage Specialist, a Wounded Warrior Project® (WWP) Alumni program member (combat service connected disabled) and buys and sells investment real-estate properties. Beth Anne is a licensed REALTOR® whose first transaction was on a gold mine and closed only 60 short days into her licensing. She contributes much of her success to strong mentors, proven systems and a dedication to continuing education. Beth Anne has past experience in the strategic consulting and project management industries, along with a Master’s in Business Administration from Northwestern University’s Kellogg School of Management in Chicago. She came to Colorado years ago to accept a position as Director of Credentialing and Professional Development with Professional Ski Instructors of America. Following this, she obtained her real estate license and has since earned her GRI (Graduate Realtor Institute), MRP (Military Relocation Professional), CIPS (Certified International Property Specialist), Managing Broker license and other certifications. Additionally, she is a board member of Denver Mensa. Beth Anne’s first full year in real estate was punctuated with an invitation to Sellstate’s national Industry Leaders’ Convention and a platinum award for annual commission income. She is presently the trainer and a top producer for the Sellstate Realty Pros office in Greenwood Village, and plans to continue outdoing her prior awards as a real estate agent. She comes to A+ Real Estate School with a strong background in instructional design, business leadership and real estate acumen.